CBD — you know, one of the cannabinoids found in marijuana plants that chill you out without getting you stoned (and have tons of other purported health benefits, too) — is everywhere. We started seeing it a few years ago in the usual health food-type applications: tinctures, gummies, oils, skin creams, salves and the like. But now, CBD is turning up in all kinds of creative ways with food and beverage. We’re talking CBD coffee, CBD ice cream, CBD chocolate, CBD baked goods and smoothies, CBD maple syrup, CBD olive oil, CBD kombucha … you get the picture. But, we kept wondering, when were we gonna see it show up in craft cider? The answer, readers, is now! Stowe Cider, based in Stowe, Vermont, has just announced that it’s made a trial batch of a CBD-infused cider, in conjunction with friends at Sterling Hemp Farms. We have a feeling that Stowe’s CBD cider is going to go over very, very well. This 5% ABV dry cider contains 15 mg. of CBD per 12-ounce serving, and the cider itself is a blend of culinary apples: Ida Red, Crispin and Northern Spy. Ray says that the cider, which doesn’t have an official name yet (just “CBD Cider Trial 1”) will enjoy a wider release, with canning planned for it in the next few months. He also says that Stowe and Sterling Hemp Farm will collaborate on more joint projects (sorry, had to), some of which will make appearances at Stowe’s Safety Meeting party on Saturday, April 20. The party will celebrate Stowe’s hopped cider, Safety Meeting, as well as the CBD cider and other yet-to-be named collabos. Just one more reason to start planning that Vermont road trip, right? 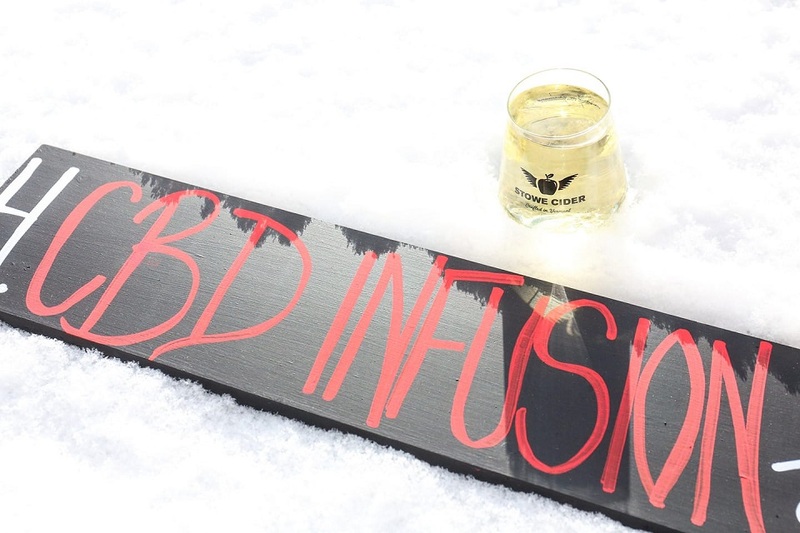 For you lucky VT natives, Stowe’s first batch of CBD cider is now on draft at its tasting room. Find Stowe Cider at 17 Town Farm Lane in Stowe, Vermont; phone: (802) 253-2065.